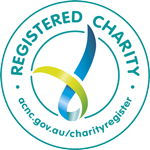 The Good Samaritan Foundation has produced this website to provide information about the Foundation and its partner organisations to the public and to further our charitable objects. Information on the site may be general and has a possibility of being changed or updated at a later time. The Good Samaritan Foundation is not responsible for inaccurate links, content, or videos used throughout the site. If a link from our site takes the user to another website, the Good Samaritan Foundation accepts no liability for any content on that website. Our website is linked to the sites of external suppliers whom we work with. This may include suppliers with whom we contract for services and others. We accept no liability for external suppliers’ collection, storage or use of your personal information or other data. All information and material posted on this website is the property of the Good Samaritan Foundation and/or its partner organisations. You may not copy or use any of the content of this website for commercial use. You are welcome to share our videos, text and photos on social media sites for non-commercial purposes with appropriate attribution. Images, texts and video on this site may not be used in any way that is inconsistent with the aims, objectives and philosophy of the Good Samaritan Foundation. If you would like to use video, images or text that appears on this site in any context other than social media sharing, please contact us and request written consent.